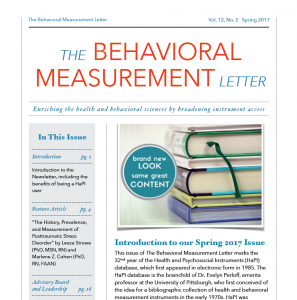 Enriching the Health and Behavioral Sciences by Expanding and Disseminating Knowledge About Measurement. 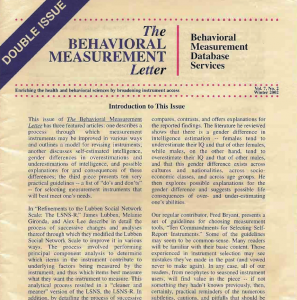 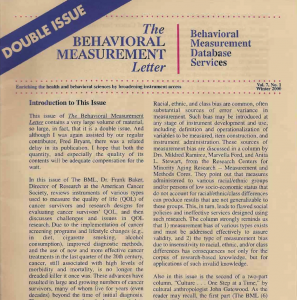 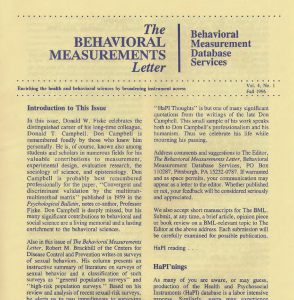 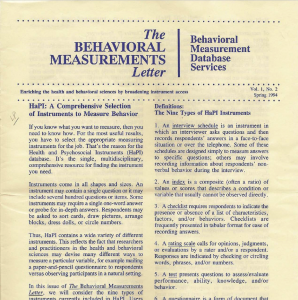 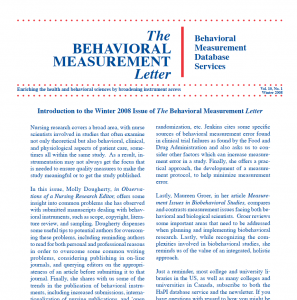 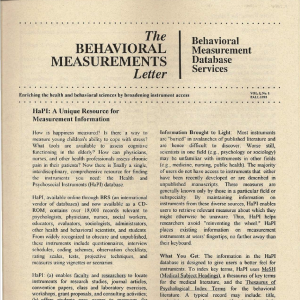 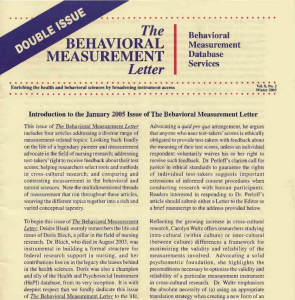 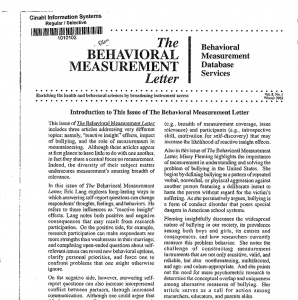 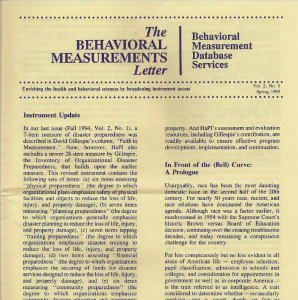 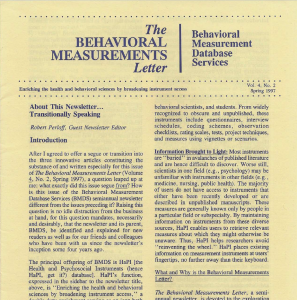 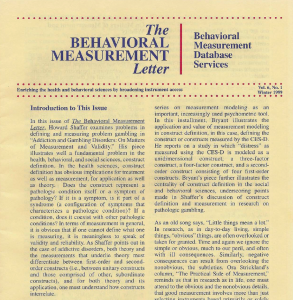 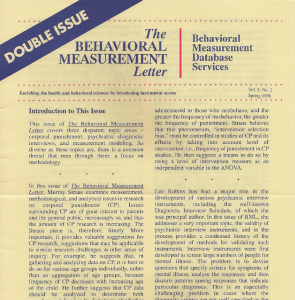 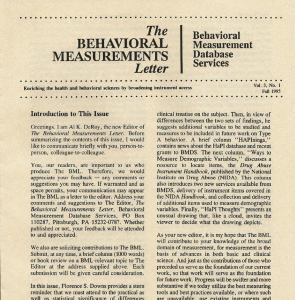 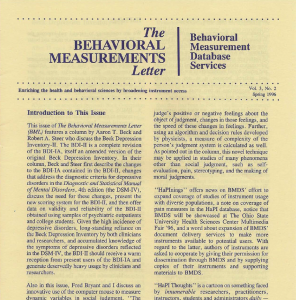 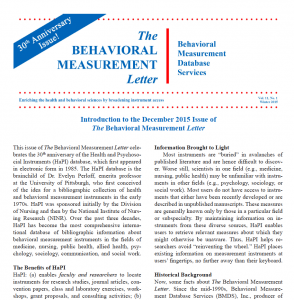 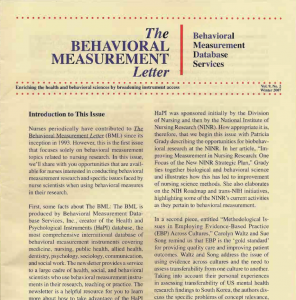 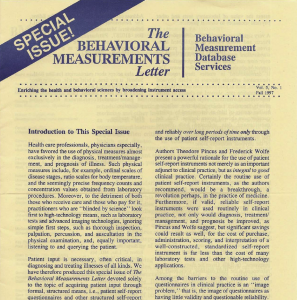 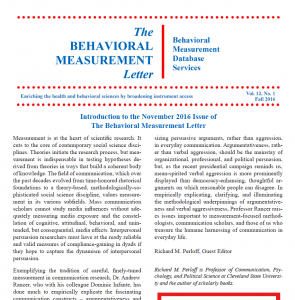 Since the mid-1990s, BMDS has published and distributed The Behavioral Measurement Letter — a professional newsletter for researchers, practitioners, and students that focuses on issues concerning measurement in the health and psychosocial sciences. 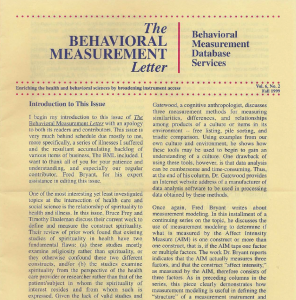 Historical overviews of specific measurement tools. 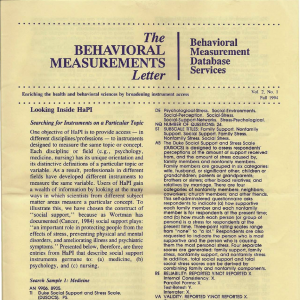 Some issues of The Behavioral Measurement Letter are devoted entirely to a single programmatic topic; other issues contain a diverse set of articles pertaining to a variety of different topics.